International Products Corporation (IPC) received the SP Award for Demonstrating Environmental Innovation in the Manufacturing Process for its environmentally friendly P-80® Temporary Rubber Assembly Lubricants, which provide a safe and easy way to improve assembly operations. IPC’s P-80® products are water-based, non-toxic, non-flammable, and easy to dispose of. The P-80® lubricants help companies in the automotive and other industries globally to reduce part breakage or failure, prolong part life, reduce worker injuries and reduce their environmental impact. International Products Corporation (IPC) is committed to improving the environment. 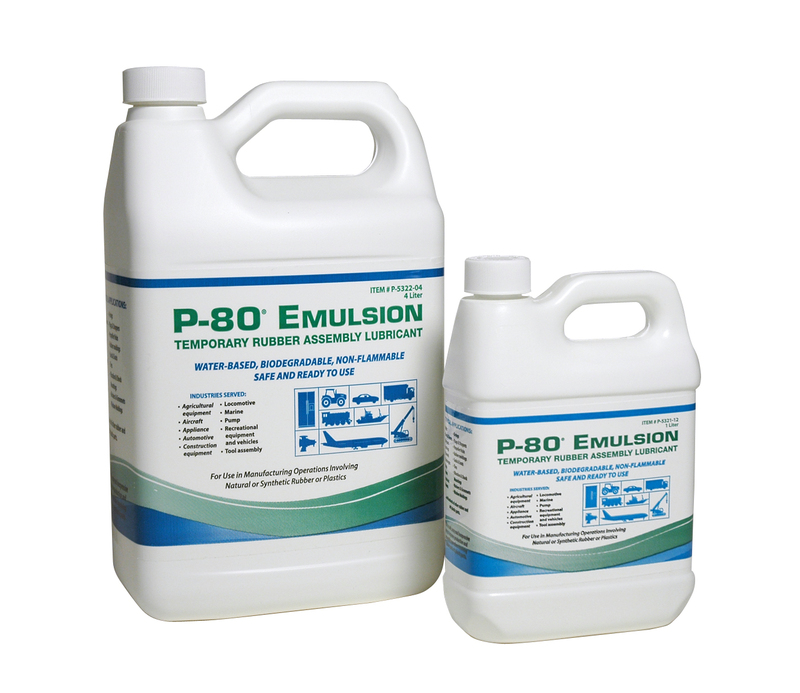 Unlike many other lubricants, P-80® products are water-based, non-toxic, non-flammable, and easy to dispose of. P-80® is NFPA-rated at 0-0-0. Most of the products are biodegradable. Spills can be cleaned up with a cloth or sponge. Soap and water will remove P-80® from hands or clothing. All P-80 products undergo full health and safety testing by independent laboratories and test data is available upon request. The award presentation took place at the Suppliers Partnership for the Environment (SP) first annual membership awards at an evening reception on June 26 as part of the first Summit on Accelerating Innovation hosted at Oakland University’s Meadow Brook Hall in Rochester, MI. The Suppliers Partnership for the Environment (SP) is an innovative collaboration between automobile manufacturers, their suppliers, and the U.S. Environmental Protection Agency (EPA). SP members work together to identify and implement creative projects and programs that will advance environmental sustainability while providing economic value to the automotive supply chain through strategic action and engagement. All of IPC’s products are Made in the U.S.A. and are readily available worldwide through their network of global distributors. For more information or free samples, visit http://www.ipcol.com or call 609-386-8770.